The Women’s Ski Jumping USA team, based in Park City, Utah has led women ski jumpers worldwide in the effort to become an Olympic winter sport. After struggling for years to gain recognition, women will finally jump for gold in the 2014 Olympic Winter Games in Sochi, Russia. Having attained Olympic status, the sport, already on the rise in many countries, expects a dramatic growth in popularity. 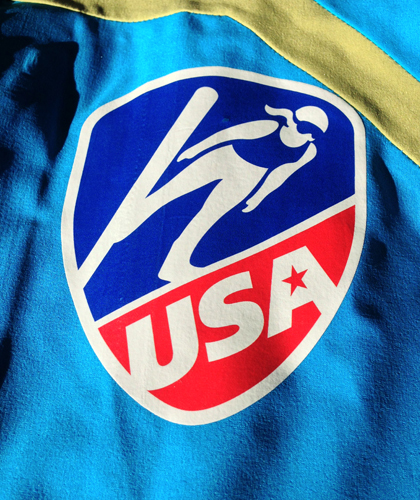 Leader Creative was asked by Women’s Ski Jumping USA to develop a powerful logo that can serve to identify the team in competitions while earning revenue through marketing and merchandising.